5 Really Big Issues with the 21st-Century Skills Debate. 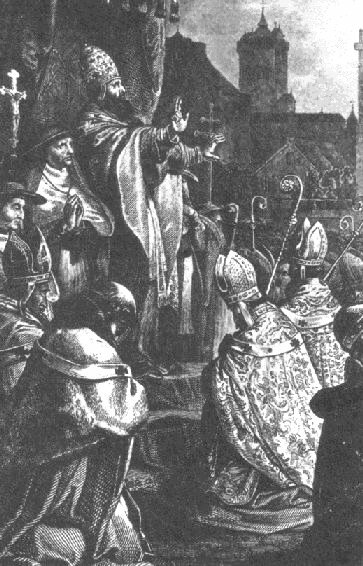 In 1088, cardinal-bishop Otho de Lagery became Pope Urban II. He is known to have launched the first crusade to regain the Holy Lands. Knights and peasants from all over Western Europe travelled through wilderness, desert and sea for months on end. There were so many more peasants than knights; divided in several armies, the peasant army never even made it to Jerusalem. Many were fuzzy about what this expedition was all about. They lacked training, and they were simply doing what they were told. In fact, during the Middle Ages, knowledge and learning was restricted and controlled. Peasants were only allowed to know so much. It wasn’t about helping each person reach their highest potential—but about getting each person just enough so they could satisfy the system. In our world, when it comes to education standards and “high stakes”—there is nothing “high” about it. It’s really about finding the tolerable minimum bar, generalizing students and their capabilities—and a whole system built around this minimum bar. To test this theory, try taking a really bright student and getting the regular public school to create exceptions to their system to accommodate that student’s true capability—and see how much pushback and difficulty you run into. At the end of the day, the “system” doesn’t like to change, it doesn’t like to be told what to do, and it doesn’t want its performance to be scrutinized. It gives the peasants too much knowledge, abilities and control. 1. The battle is being set up as an either/or proposition: ‘focus on academics and, if you do 21st-century skills— then you’re taking away from academics, or vice versa. It’s like booksmart versus street smart—which is better? Have you met a person who is all booksmart with no street smarts, or perhaps the other way around? Both have a hard time. 2. I’m smelling that many people who want to run away from “high-stakes testing” (which is a flawed, imperfect process) are using the 21st-century skills concept to legitimize dumbing down standards—thus fulfilling the argument that ‘21st-century skills may take away from academics’. We cannot let these people hijack this issue. A number of years ago, this is what happened with vocational-technical, or votech, education; it became all about entry-level work skills for people who couldn’t make it into college. 3. Obviously, kill-and-drill academics doesn’t work—just begin reading the myriad studies about why not—not to mention that students subjected to it are not making it. So, what about motivation, engagement, communication and empowerment? What about those so-called “soft, fuzzy” skills that are key to student success? Of course, this shouldn’t be confused with “feel good” schools with low achievement standards. The student either has the skills to compete with the rest of the world or he doesn’t—that’s the only standard I’m willing to accept. It’s both academic and so-called “soft” skills: more people get fired from a job for soft-skills issues than academic ones, don’t they? 4. Very few schools do the soft skill stuff well for one simple reason—they don’t use it themselves very well: how can you teach collaboration when teachers don’t collaborate? How can you teach empowerment when the principal and teachers aren’t empowered? In one sense, the critics are right in that, if schools (in their existing form) tried to do this—then it could water down their academics and they would end up with nothing to show for it—still not an excuse for a failing school. 5. There’s no magic bullet. All the pieces need to go together: whole school organization, high standards, success-based learning, life skills—an integrated approach. You don’t go into a hotel and meet a “friendly” person whose only job is to be friendly. It’s an entire microculture that’s focused on success for a student, whatever it takes: everything they need to live life, to be competitive in the worldwide workforce, and to be productive, contributing citizens. The above said, there’s an argument that “21st-century skills” is somehow a bad label because, throughout history, we’ve always needed good communication, good team work and good collaboration. Further, to even be employed, many companies themselves don’t utilize or even practice these skills very well. While there’s some truth to that—this time, things are different. The most competitive and effective organizations hold at least this much in common: they’re able to respond to the accelerated pace of innovation, of meeting customer needs. They can only do this effectively by organizing and behaving differently—in a more distributed fashion—versus a centralized command or a heavily-controlled, from-the-top-down fashion. The world now has a magnitude more of moving parts, moving at a faster pace than we ever had last century. The amount of information is too great for a central command structure to understand, interpret and respond to and still thrive. We are more productive and more innovative than at any time in our history. 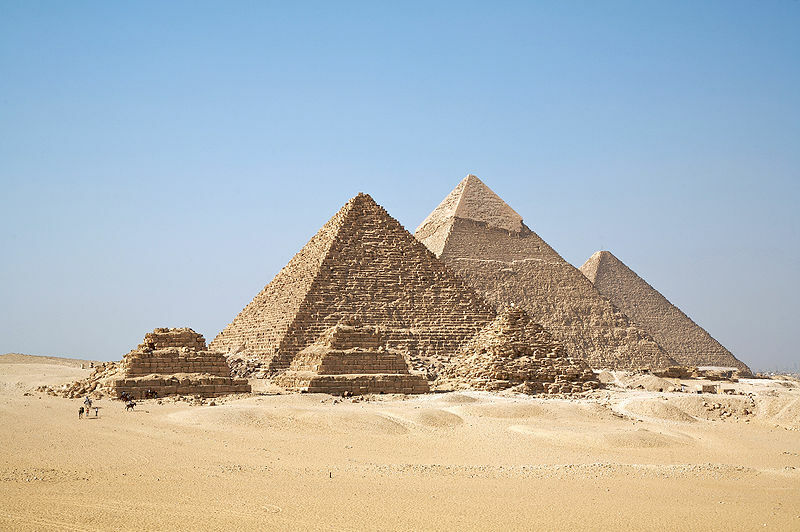 Sure, the pyramids were amazing (slave labor), but mankind builds so many more and better things today than were ever built in previous ages. If our students just know how to read, write, and do math—but don’t know how to critically think, make good judgments, manage their own teams effectively, stay focused—if they only know how to cram and take a test, hoping they get the right answer—then we lose as a country. From the founding of our country, the American Dream has been about common people creating and living their dream of success; if we lose our ability to dream, to create—then we lose America.